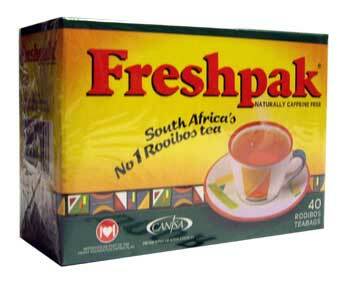 Freshpak Rooibos tea has a rich auburn colour, strong flavour and aromatic warmth. It is an excellent source of anti-oxidants and is naturally caffeine free. Box containing 40 tagless teabags.